Incoming Fr Dillon Gooding posted a picture of him with the team in the new locker rooms. The rooms look great! Getting the new court laid down. Those seats you’re looking at on the far end are where the wall used to be. And that big video board hanging from the rafters is brand new as well. Lots of progress in Strahan! 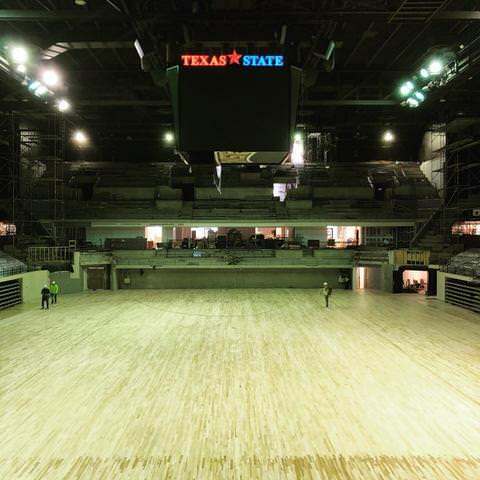 I may have missed this (apologies if already posted), but is there going to be any changes to the floor design? 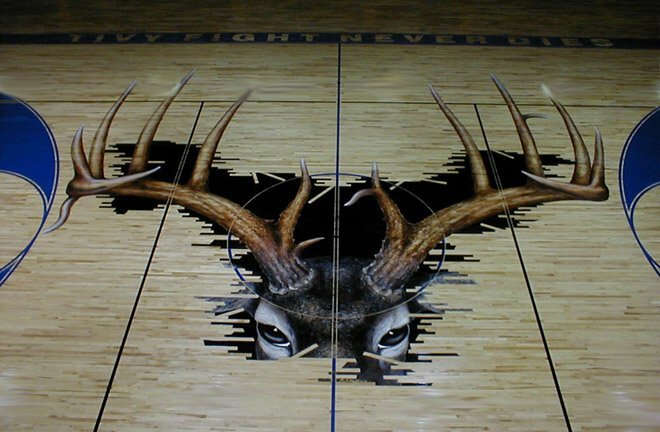 As in, will the new floor still have this old design? Ha. Just came to post this. I think it looks great. I can't wait to see all of this in person. not terrible or anything, but i'm not a big fan. 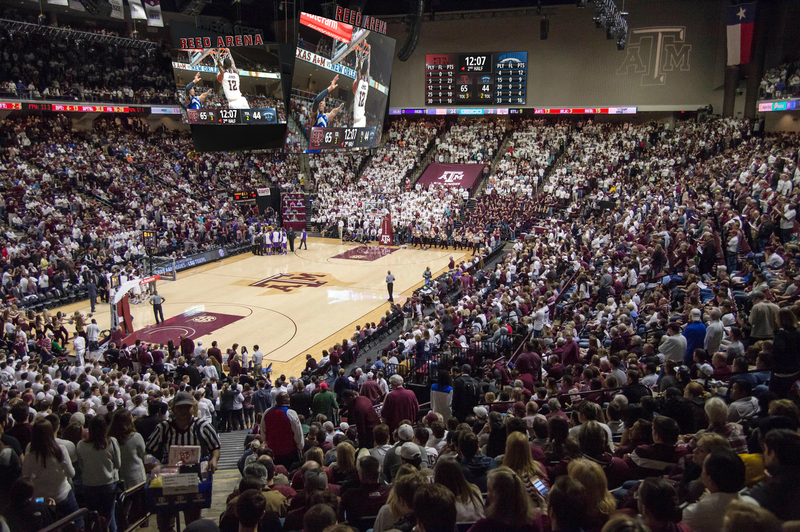 hate busy courts, so the darker stain inside the 3pt arc and the big texas outline doesn't work for me - not a fan of it on the texas or tamu courts either. do all these schools really think people need a reminder of what texas looks like? 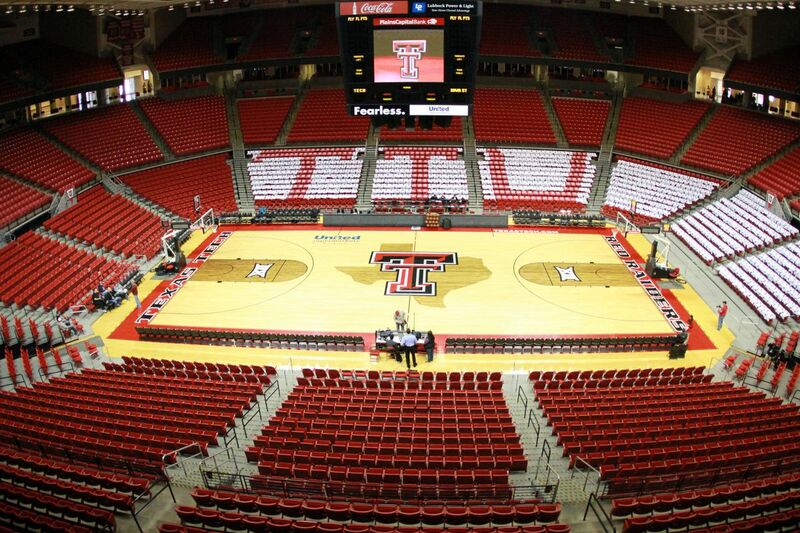 also, no vb lines on it, so maybe they are getting an overlay court like they use during the ncaa tournament? I like that new design. Full disclosure, I don't care what the court looks like, as long as they take the volleyball lines off for basketball games. I really like the design. Unlike Saul, I'm a fan of two-tone courts like that and I like the Texas logo surrounding the supercat. I hate busy courts, but our definition of busy is different. Oregon and Louisiana come to mind as some of the most hideous courts around. I'm a fan of the new court. Does anyone know if they are doing anything with the cement sections that were chair less next to the wall? I sure hope they add seating there, always felt it was an eyesore. 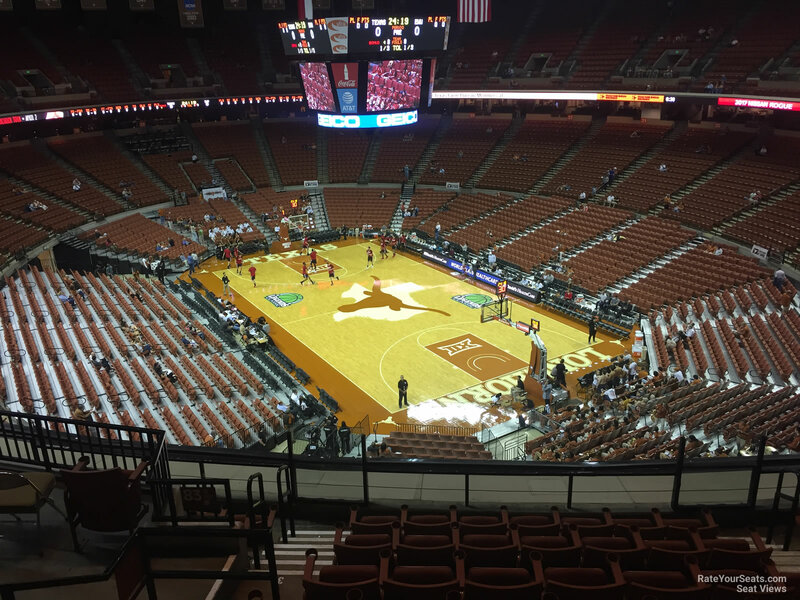 The other schools with Texas behind their midcourt logo. There seems to be a pattern now. Happy to see us being so original. Though I won't dare complain given the massive improvement to the facility itself. Plus I'm also a bad Texan that gets tired of seeing Texas stars, Texas flags and Texas shapes on everything. Do we have a dedicated court for volleyball and basketball? nope. coach chisum was on facebook answering the same question. i assume those are just renderings and they don't show the volleyball lines. Dang. Was hoping that was the case. those are the gold standard for busy, no question about it. kerrville tivy w/ the honorable mention.